Bremont has a long history of partnering with military organizations for special, limited-edition collections. The brand’s latest collaboration is their biggest yet — the UK-based firm is working with the Ministry of Defence to produce a series they’ve aptly dubbed the Armed Forces Collection. As the MoD’s official watch partner, Bremont will become the sole watch manufacturer allowed to officially use the signs and heraldry of the Royal Navy, British Army, and the Royal Air Force. It is, however, worth noting that these are not commissioned pieces, and what makes this partnership distinct from past military collaborations is that these watches are available to civilians. Introducing the Armed Forces Collection. Inspired by the legendary “Dirty Dozen” WWW timepieces, the new collection is built around three watches: Broadsword, Arrow, and Argonaut. The Broadsword (Army) is the most obvious nod to the Dirty Dozen. It’s a simple three-hander with a date at 3 and a small-seconds indicator above 6. The case measures 40 millimeters across and is rated to 100 meters. The Arrow (Royal Air Force) is a mono-pusher chronograph that riffs on the classic Dirty Dozen design, integrating two chronograph registers at 3 and 9. The case measures 42 millimeters across and is rated to 100 meters. Lastly, the Argonaut is a dual-crown (at 2 and 4) diver with an internal rotating bezel. The 42-millimeter case is rated to 300 meters. Of the three, the simple Broadsword is my favorite, though I’m always happy to see a mono-pusher chronograph thrown into the mix. Personally, the Argonaut feels like a bit of an outlier, though I understand its inclusion here to complete the trifecta. 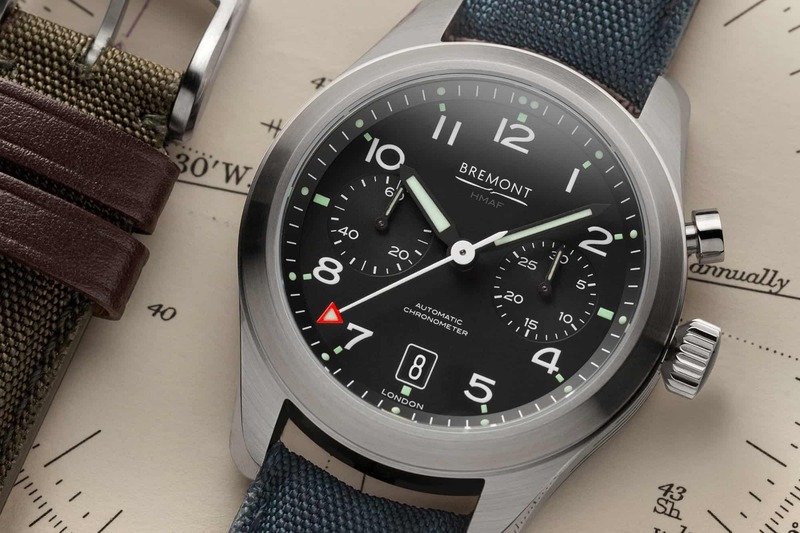 The post Introducing the Bremont Armed Forces Collection, Produced in Partnership With the Ministry of Defence appeared first on Worn & Wound.